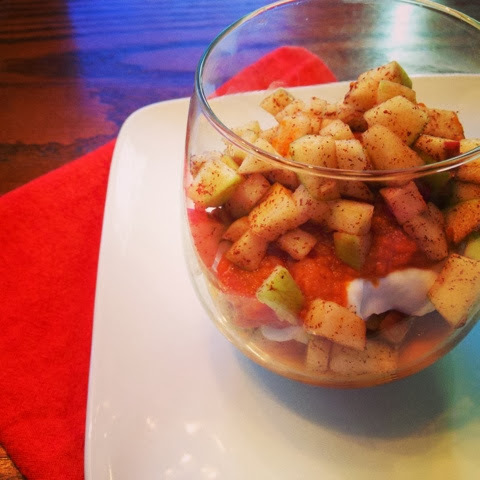 Instead we are trading in the spiced pumpkin cup of guilt and whipping up our pumpkin apple breakfast parfait! 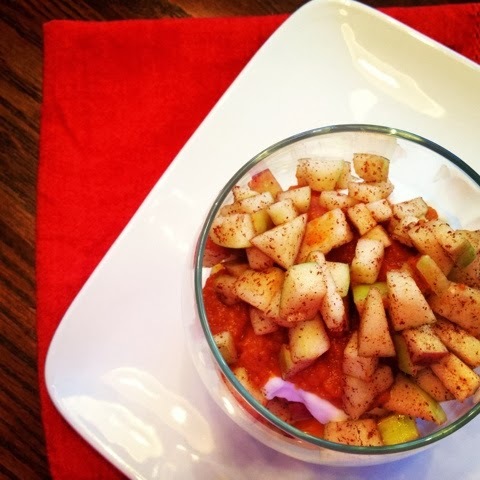 We start with non-fat vanilla Greek yogurt and layer in pumpkin spiced with cinnamon & brown sugar and top it with crisp apples with cinnamon and organic honey. The best part? ... besides the delicious treat for your taste buds, of course! This breakfast beauty comes in at just 217 calories, 0.3 grams of fat & only 4 WW points! Say hello to our new pumpkin favorite treat :) Enjoy! 1. Combine pumpkin puree with 1/2 tsp cinnamon and brown sugar. Stir to combine. 2. Dice apple and season with remaining cinnamon & honey. 3. Add 1/4 of your yogurt to each dish (serves 2!) and layer in 1/4 of your pumpkin puree. Top each parfait with 1/4 of your apples and repeat a second layer on each. Yum! This looks fantastic! I am definitely going to have to try that for when I am craving everything pumpkin flavored! I loved this recipe! I already had it for breakfast yesterday and today. Thanks!! I love this recipe. Super easy and super good. Thanks for all the wonderful recipes! !